Following the S8, there was significant pressure on Samsung to deliver with the S9, thankfully it was met with rave reviews thanks to its stunning design and innovative technology. Select your desired options to find the best Samsung Galaxy S9 deals for you. Put your existing SIM card into your new phone to enjoy all the benefits of your existing network tariff. Samsung seem to be following Apple’s technique of improving on their previous handset and make small but effective tweaks and upgrades to the current S8 handset. The S8, S8 plus and note 8 were all major upgrades on the S7 and S7 edge so it makes sense for Samsung to master what they have and ensure the S9 came out of the blocks a leading smartphone. 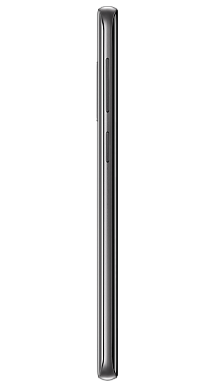 Previously Samsung released there 3 previous models with a slimmer and longer body. 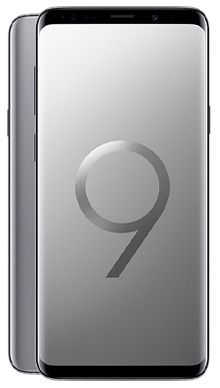 As they have focused on upgrading and tweaking the S9 based on the S8 it’s no coincidence they followed the current smartphone design pattern of a longer and slimmer handset. Thus, the Galaxy S9 is indifferent in appearance to the Galaxy S8. Like the Apple iPhone X they have built the handset around Gorilla Glass 5 with a sturdy reinforced aluminium casing. Samsung have kept their curving around the edges of the handset and it’s simply a pleasure to handle. 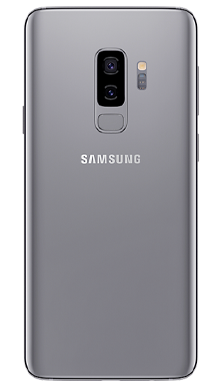 Again, like the S8 the S9 has been designed to appear Bezel-less. One noticeable change is Samsung has pushed the Bezels across the top and the bottom of the handset, they have achieved this by placing infrared sensors into the handsets screen display. The changes the Samsung engineers have made gives you a screen without buttons to give the display a perfect front finish. There are still the usual buttons on the sides including Bixby, the power button and the volume button. The fingerprint scanner has been left on the back of the S9 but slightly repositioned. It’s a little easier to get too but it’s still very close to the camera meaning you will often accidently touch the camera lens but they have upgraded it a little. Samsung decided not to deviate that far away from the S8 again here. They have stuck with the S8’s 18.5:9 screen ratio. This is a good thing as you get a lot more screen to play. 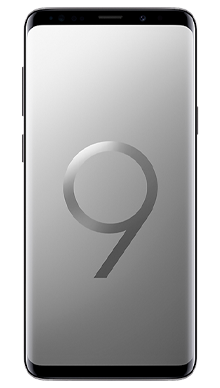 As we have already mentioned the S9 is a lot slimmer than Apple’s iPhone 8 and 8 Plus and manages to slip a 5.8-inch screen. The S9 also used the same Quad HD display as the S8 and its kept its partnership with Netflix and Amazon Prime by including its HDR Mobile Premium Certification. The AMOLED display gives movies and TV shows a sharp contrast. Like the iPhone X it shows the deep blacks next to sharp white colours perfectly. Another improved part of the display is the colours. Samsung has moved the colours on quickly and they really pop out of the screen on High definition. To really enjoy this, you should set your Galaxy S9 to AMOLED Cinema. Turning on the Video Enhancer mode also makes a big difference, it brings the colours out of the screen more without having to turn up the handsets brightness. The S9 does out perform the iPhone X when comparing colours. The colours appear more natural whereas the iPhone X can sometimes appear a little over the top when viewing programs with lots of colours in one scene. Overall the S9’s display has moved on and Samsung has produced a handset with a great display, sharp contrast and colours that pop out of the page yet appear more natural than Apple. As we have mentioned above, the S9 didn’t deviate a lot from the S8 but the biggest change has come with the camera. It’s not a major upgrade and they have kept the 8MP front camera (selfie camera) with all the great features like pixel autofocus and optical image stabilisation. The major addition to the camera is dual-aperture lens. The dual-aperture lens has been improved to help lower quality lighting shots appear better, this is inline with the improvements from Apple and the new Huawei P20 Pro. So, what does the dual-aperture lens do? Simply put it switches between lenses to get you the best shot based on lighting conditions. This helps keep all the photos taken with the S9 clear and focused when taken pictures in low lighting situations. A camera ready for fireworks night! In comparison to the iPhone X this feature really helps give natural looking shots. There is nearly no underexposure. This update has also reduced the noise created by taking a photo which frankly was not that noisy anyway, but any upgrade is worth it. Capturing video is an absolute pleasure with the S9. With its 4K recording and their heavily promoted super slow-mo recording feature it starts to become a movie recording phone to rival most handsets. The only real competition for movie making phones in 2018 is the Sony Xperia XZ2 and the Huawei P20 Pro. A camera that packs this much punch needs a processor to match it! Samsung have powered the S9 with the latest Exynos 9810 octa-core processor. Backed up by 4GB of RAM with a 64GB handset. There is MicroSD options available for the UK. Simply put the Galaxy S9 is a fast tailor-made handset ready for the world of heavy phone usage. Tests completed by experts have touted the S9 as one of the most power smartphones of 2018. This may be a little early as Huawei and Sony have both released phones that can match similar performance. Battery life is one area that Samsung have decided not to boost when releasing the S9, they have used the same battery as the S8, a 3000mAH battery capacity. Using the same batter from a previous model usually wouldn’t be an issue but the upgrade to noticeable software means the S9 doesn’t last as long as the S8 when used heavily. They have backed this up with quicker charging though. Also, you can get a wireless charger that’s compatible with QI meaning the cost of the wireless charging device shouldn’t break the bank. The S9 comes with the usual IP68 water proofing meaning you can go up to 1.5 meters for up to 30 minutes to take some snaps of snappy sea turtles. They have also improved their Bixby Smart Assistant with some new features. One of note is the ability to translate any foreign text in real time via the S9’s camera. This is a very useful feature for anyone who travels a lot! Now for the cool, yet somewhat not needed feature. Samsung have released their AR Emoji functionally which scans your face and builds your own person emoji. There is no point having all that great video taking capability, amazing screen and colourful display without quality sound. Samsung have continued to keep the sound quality high with their 24bit (192Hz) audio quality. One major feature (or old one) is Samsung have opted to have the S9 keep the 3.5mm headphone jack. Which goes against other leading smartphones coming into the market. Including a pair of AKG ear phones which come within the box. Removing the headphones gives us clear, clean and quality sound with tons of detail. The stereo speakers can pump out any form of music with much better sound than their previous models. However, playing music at the highest volume can sounds a little unbalanced at the top level. Just like the iPhone X, Samsung have included Dolby Atmos for the first time. This needs turning off and on but when turned on there is a noticeable jump in quality when listening to TV shows and movies. It doesn’t really make a huge difference when listening to music. Samsung have created a better phone than the S8, S8 plus and Note 8. It’s faster processor and better camera give it the edge over the iPhone X. However, the iPhone X’s performance might just edge out the S9 when taking sound quality into account. The camera and video capability are where the S9 stands out from the crowd, it’s a huge jump in technology but is it enough for Samsung fans to come flocking from the S8 and buy straight away? We think so. 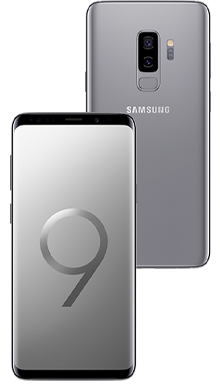 Fonehouse offer a wide range of Samsung Galaxy S9 deals. Take advantage of our no up front cost offers or same money on your monthly contract plan by paying a little more upfront. We partner with EE to bring the best EE galaxy S9 deals with lots of cool free addons. Again, you can either get your new S9 with no upfront cost or pay a little extra to drop the monthly tariff. Not an EE fan, try our best Vodafone Samsung Galaxy S9 deals. You can get free Sky Sports, Now TV or Spotify over the duration of your contract plan. Want the phone but no the new contract, we also have you covered. You can buy our Samsung Galaxy S9 sim free right here. Having trouble finding the plan for you? Contact our UK based call centre on 0333 900 1133 and the team can help take you through your pay monthly contract options.